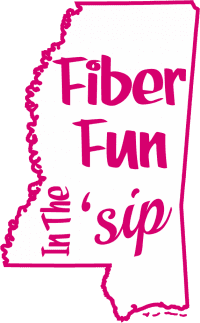 Fiber Fun in the ‘Sip is in its inaugural year as a follow up to the great Magnolia State Fiber Festival from years ’13-’16. Lazy Cay Yarn is excited to part of this new show! We will be in the juried show joining local and regional vendors, local yarn shops, farm based shops and independent fiber artists from Mississippi and regionally based TX, LA, GA, FL, OK, TN, MO & IL. Come see us in Vicksburg, Mississippi on September 21 and 22nd.